How Does Stress Affect Our Arteries? 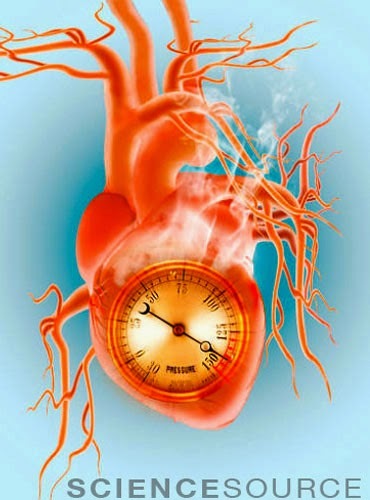 Most people are aware that long term stress can have negative affects on the cardiovascular system, and increase your risk of heart attacks or stroke. New research from Harvard Medical School has revealed some of the physiological changes taking place in our blood when exposed to chronic stress, and its link to atherosclerosis. Researchers found that mice exposed to constant stress had higher levels of monocytes and neutrophils circulating through their blood. The accumulation of these white bloods cells are often found in fatty plaques that have been lodged in the walls of blood vessels. Researchers then performed another experiment where they blocked bone marrow protein receptors responsible for stimulating the production of these immune cells. They found that mice with reduced levels of active immune cells developed less plaque in their arteries. The gluten-free diet has been gaining increased popularity for its purported health benefits, though the truth behind its emergence can be attributed to the rise of celiac disease among the general population. Celiac disease occurs in individuals with a genetic predisposition, and is an autoimmune disorder which attacks the lining of the small intestine when in the presence of the gluten protein. 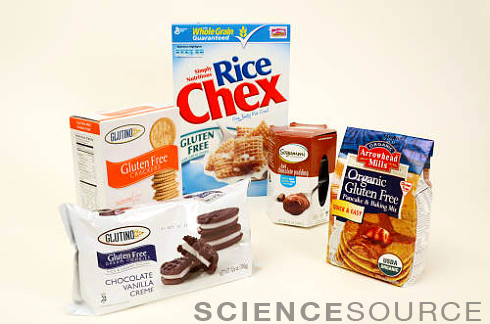 Gluten is found in wheat, barley, rye, and other grains, and is commonly used as an additive in various foods and drinks. The New York Times Writes: By using a DNA “bar code” of 23 short snips from the genes of parasites that cause malaria, scientists can now often quickly determine where they originated, British researchers report. "Dinosaurs were neither sluggish like lizards nor high-energy like mammals, but something in between, a study suggests. The work stakes out a rare middle ground in the long-running debate over whether dinosaurs were ‘cold-blooded’ ectotherms, which use the environment to adjust their internal temperature, or ‘warm-blooded’ endotherms, which regulate their body temperature from within. 'There’s a third way,' says John Grady, a biologist at the University of New Mexico in Albuquerque." 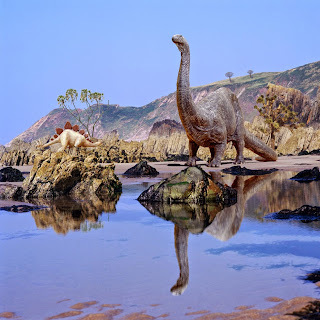 - Alexandra Witze, June 12, 2014, Dinosaurs neither warm-blooded nor cold-blooded, Nature News,Nature Publishing Group To read more click here. 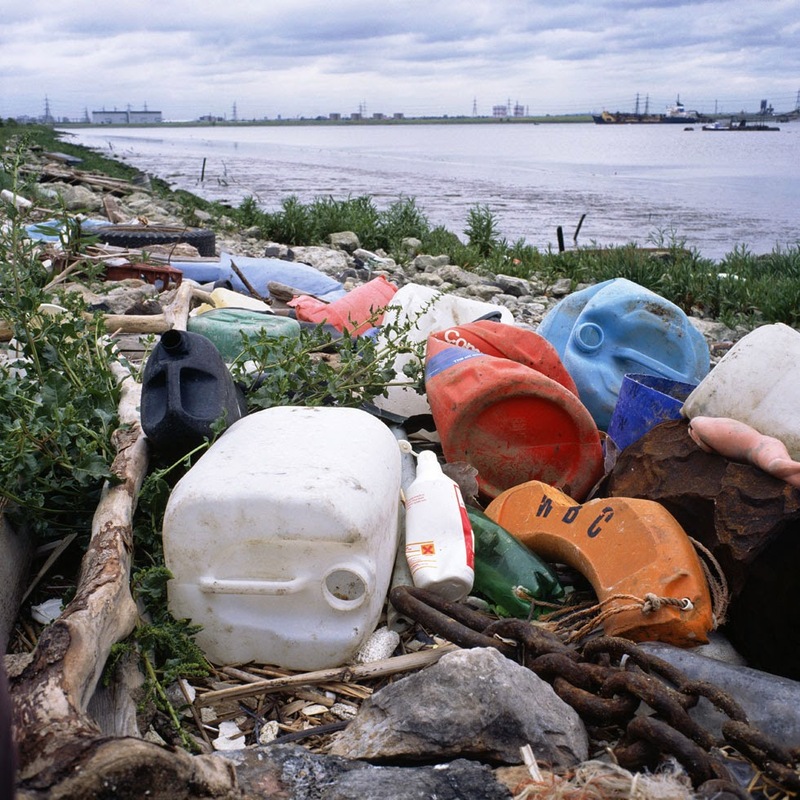 "Plastic first became widespread in the mid-20th century. Since then, about six billion tons have been manufactured. Much of that has ended up as trash, and nobody knows what will become of it.Now researchers have discovered an unexpected way that some plastic waste is persisting: as a new type of stone.The substance, called plastiglomerate, is a fusion of natural and manufactured materials. Melted plastic binds together sand, shells, pebbles, basalt, coral and wood, or seeps into the cavities of larger rocks to form a rock-plastic hybrid. The resulting materials, researchers report in the journal GSA Today, will probably be long-lived and could even become permanent markers in the planet’s geologic record." - Rachel Nuwer, June 9, 2014, The New York Times, http://www.nytimes.com/2014/06/10/science/earth/future-fossils-plastic-stone.html?ref=scienceTo continue reading click here. Researchers at Duke University led a study which could potentially change the future of bacterial skin infection treatments. 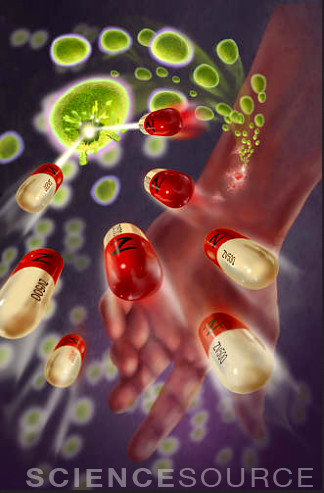 The study involved the use of oritavancin, a new antibiotic administered as a large, single infusion to patients with acute bacterial skin infections. 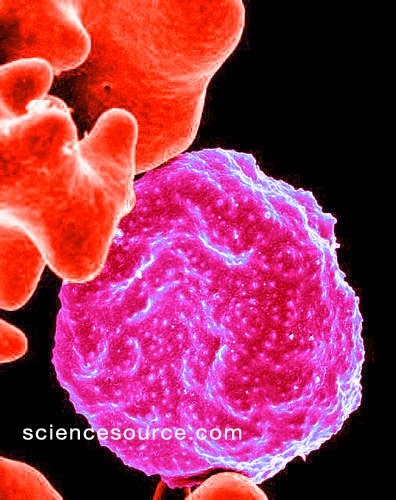 A control group received the current treatment, which involved two daily infusions of antibiotics over the course of 10 days. The results showed that both treatments were just as effective in reducing skin lesions and fevers without the need for additional antibiotics. Often, patients do not complete their full 10-day treatment even after their symptoms disappear, allowing surviving strains of bacteria to become more resistant to antibiotics. Since oritavancin can persist in the body for longer periods of time, the use of a single-dose therapy can provide easier treatment options which can help reduce the recurrence of antibiotic-resistant bacteria.